Right, so here's what I've always considered to be a nice platform game. Not the best of graphics, but bright and colourful and fun to play. *new version, couldn't shoot in first binary posted. Edited by CyranoJ, Wed Feb 11, 2015 9:52 PM. Are the ports you've been pumping out all ST to Jag conversions? Is it relatively streamlined? Was a thread on here recently about Genesis games being difficult to port over. Both have a 68000 architecture, correct? Are the ports you've been pumping out all ST to Jag conversions? I always thought the graphics were really tidy on this one, clean and not even a hint of antialias, just good honest well placed pixels. Except for the fire, making the fire stand out. It came as one of the pack-in games but I never really got very far with it, got the chance now, cheers. I always thought the graphics were really tidy on this one, clean and not even a hint of antialias, just good honest well placed pixels. Everything looks great on it's own, but it always looked too 'busy' to me. It is a nice game tho, but very difficult! Might add a trainer! 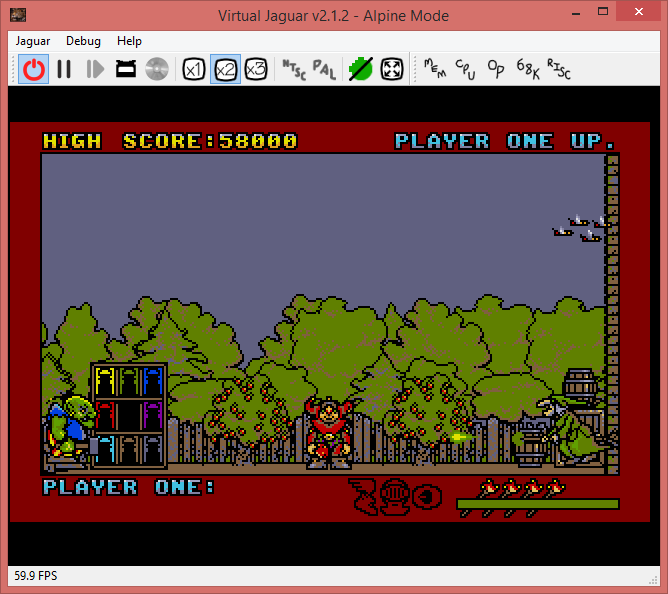 It's true that the backgrounds should have have been a touch darker to not clash with sprites etc, but it was one of the first games I got with my STE and I booted it up to meet with colour galore. Was and still am impressed at what Steve Cain was able to do with the palette . Thank You, CJ! I really love these new Jag game surprises Its quite nice. I've fixed up the transitions, and found the lives counter.. but it still crashed on game over. Will look into it a bit later and post another binary. Also, want to get the Amiga music in here, so this will probably become a .ROM. I thought the process was very streamlined? I am curious how the Amiga sound is for this game. 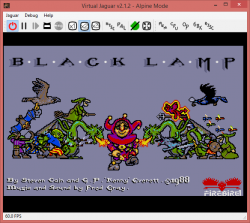 Back in the day we had the C64 version of Black Lamp, and that had beautiful music by Tim Follin(? ), that added a lot to the gameplay imo. When I got the ST version I was very dissapointed as the music quality wasn't anything like the C64. lol greensleeves, horrible music on Atari8, ST and Amiga. C64 is best but... still not one of the greats. Ummm... so probably one I'll be playing with the sound off. Me too - will have to check it out! I love the ST game (one of my first from the Power Pack compilation). Recently bought it CIB but have never played the C64 or Amiga versions - something i will have to remedy at the next Commodore Club. Finished several times, my first games bought for my first ST !! Never heard of the game and it wasn't my frist ST Game, I feel out! Calling this done, unless bugs attack. Like they say in Bill& Ted Excellent Adventures: excellent dude! Bumping for possible cover action? Afraid one might get lost in the sauce.. 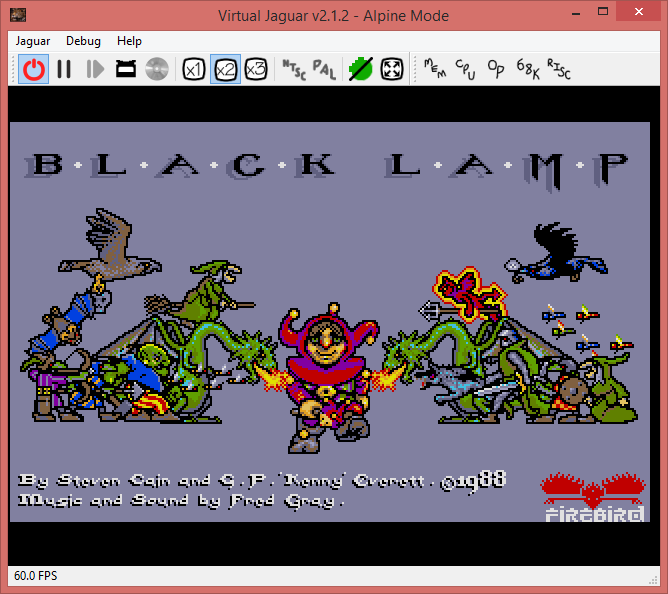 So I need Virtual Jag to run these games, is it not possible to convert it to a format to burn it on CD? 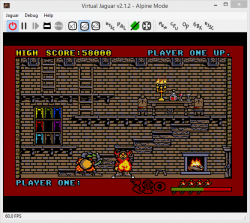 I own an old Mac computer, so virtual Jag is not possible for me. Don't you have a Skunkboard, Tweety? If I am correct, these are still available. I am using a 8 years old iMac intel and since I installed os X.6, Virtual Jaguar is running well. Below that Mac OS version (originally os X.5) it was simply crashed.